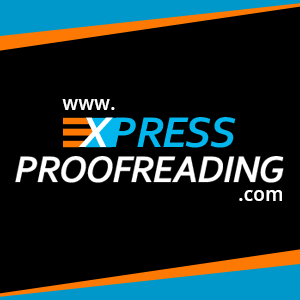 Express Proofreading is a specialist content creation and editing service. We have years of experience editing content to ensure that it reads well and captures the attention of your audience, as well creating original, unique content. Our complete website copywriting service will provide you with bespoke, original content, written by our in-house team of Masters/PhD qualified editors. Our comprehensive website copywriting service includes 10 pages of original content for your website or blog, with each page of content being between 400 – 500 words, all content is fully search engine optimised for your chosen keywords, we are also able to carry out keyword research on your behalf. All of the content we produce for you will be original, unique and bespoke, we thoroughly research your target market, your audience and the tone of voice you wish to convey. We also undertake the necessary keyword research to determine the best choice of keywords to ensure a balance between keyword optimisation and maintaining a natural flow. We then begin work producing your content, all content is written by our in-house team and we will liaise with you throughout the process to ensure it meets your expectations. We have years of experience producing original content. Our editors specialise in drafting specific pages, for example your terms and conditions will be written by our legal editors who have a legal background and will be able to ensure that your terms and conditions match the type of services you provide. To place your order for our complete website copywriting service, select the option below and ‘Add To Cart’. On the following page you will be able to input various details to provide us with more information about your project, this will assist us in the creative process. Once your order is placed you will also receive a questionnaire which will aim to ascertain more information as to the nature and context of the content you require. Once we receive this we will then begin work producing your content right away. At Express Proofreading we pride ourselves on our dynamism and creativity, we will work with you to ensure that you receive the highest quality SEO friendly copy for your website. To discuss your requirements please give us a call today. Alternatively place your order below.